Due to the weather coming in on Wednesday this event has been canceled. If you are interested in blueberry production, this workshop is for you. 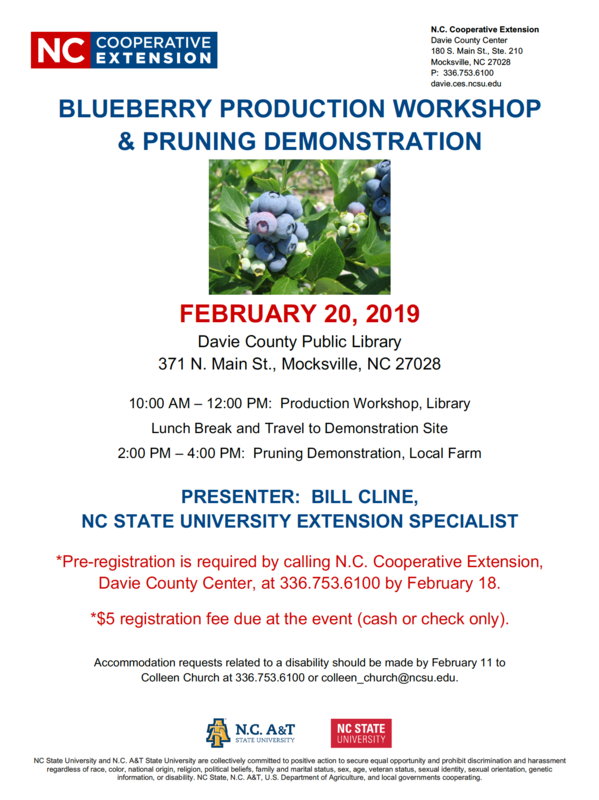 Come on out and gain knowledge and practical experience with Bill Cline, along with a local farmer on February 20, 2019, at 10 a.m. at the Davie County Public Library. Registration is required so call our office by Monday, February 18 at 336-753-6100.